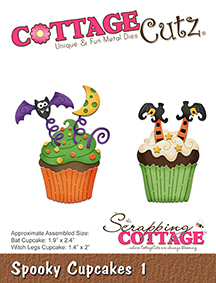 CottageCutz has a new release of Halloween & Christmas dies that are now available in the online store for ordering. So if you have made a wish list, now is the time to get it fulfilled. The DT has been showing lots of great samples and will continue to show them over the next couple of months to get your creativity flowing. 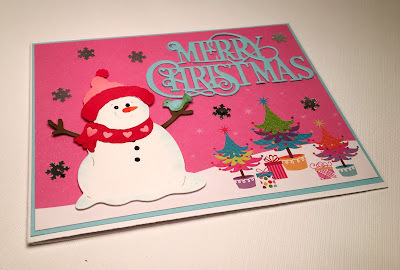 There are plenty of beautiful new Christmas dies. Something for everyone's tastes. 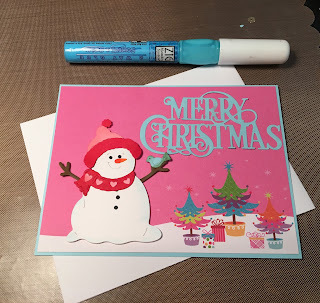 I love Christmas time and making Christmas cards. Today, I am using one of our new dies Joy Nativity. 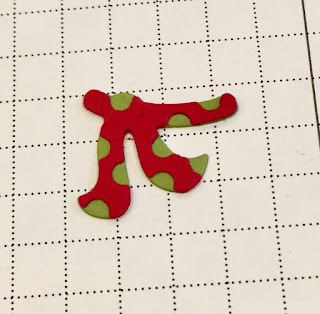 To me this die represents the essence of Christmas. 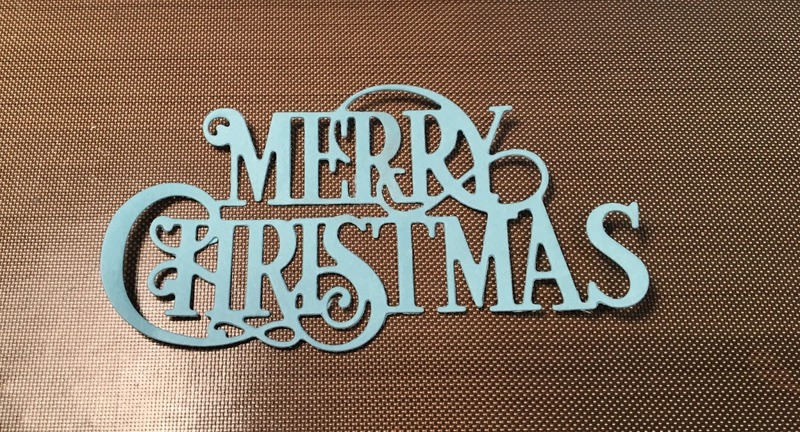 I love the bold Joy word as well as how the Holy Family is nested in the letter "O". So let's get started with some details on how I created my card. Step 1: This week I started off with a sketch. 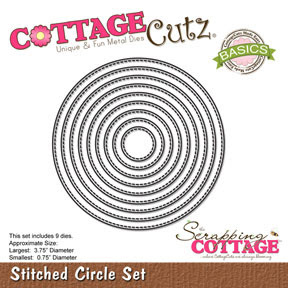 I found this perfect one on Splitcoaststampers. It wasn't too fussy and it allowed the Joy word to be the center focus. Step 2: I looked through my paper stash for patterned paper that wouldn't take the focus away from the Joy word and at the same time have a touch of elegance to it. I found this red and gold paper that I thought would work for the elegant look I was after. I paired it up with a red card base that was almost a perfect match. 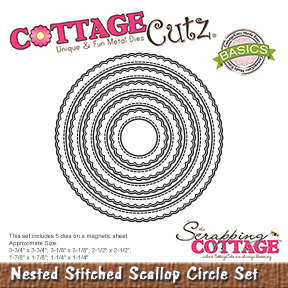 Maraschino Red Card Base: 5 1/2" x 4 1/4"
Patterned Paper Layer: 5 3/8" x 4 1/8"
Step 3: For the oval elements #3 & #4) of the sketch I used the largest nested stitched eyelet die and the 2nd largest oval die. It nested quite nicely in the eyelet die and the eyelet die kept with the elegant look I wanted for this card. 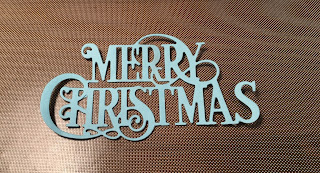 Step 4: I cut my Joy word in a gold cardstock. 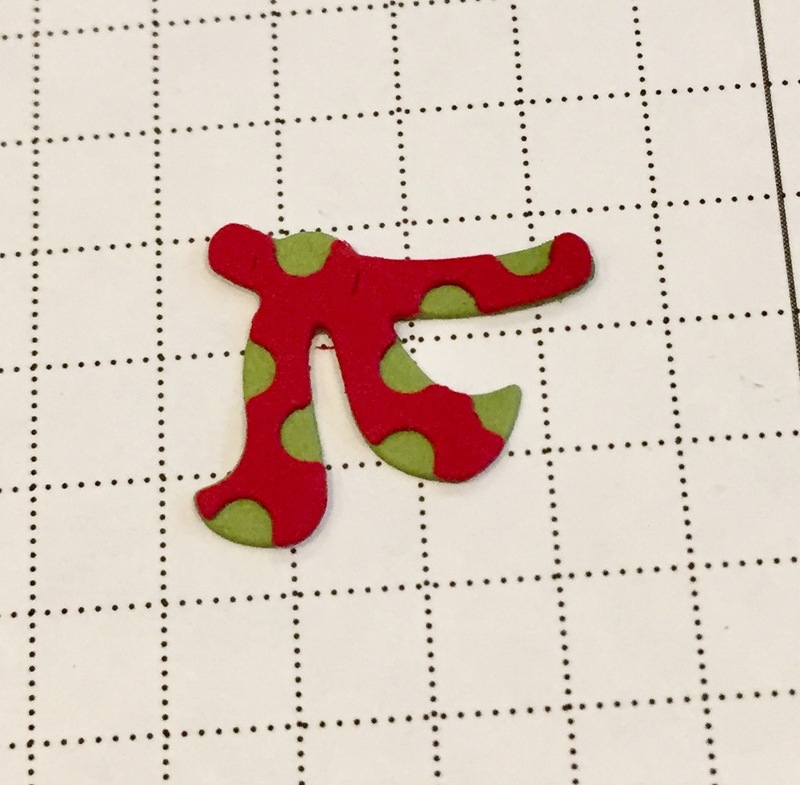 There is such detail in this die. 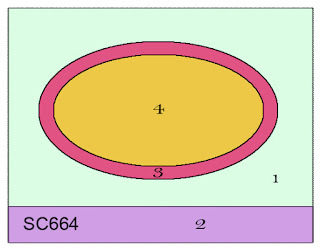 If you click on this photo or any of them really, it will allow you to see the detail I am talking about. Attached to the oval shapes with dimensional adhesive. Being raised a bit from the ovals will give it nice depth. Step 5: Attached the oval panel to the striped patterned paper layer. For the #2 layer of this sketch I decided to use ribbon. Looked through my ribbon stash and found this pleated ribbon that is a good match for the card base. I really like adding ribbon on Christmas cards. I think it dresses them up nicely. Attached my image panel to the card base and scattered a few sequins to complete this card. I hope I have given you an idea for using this new Joy Nativity die. 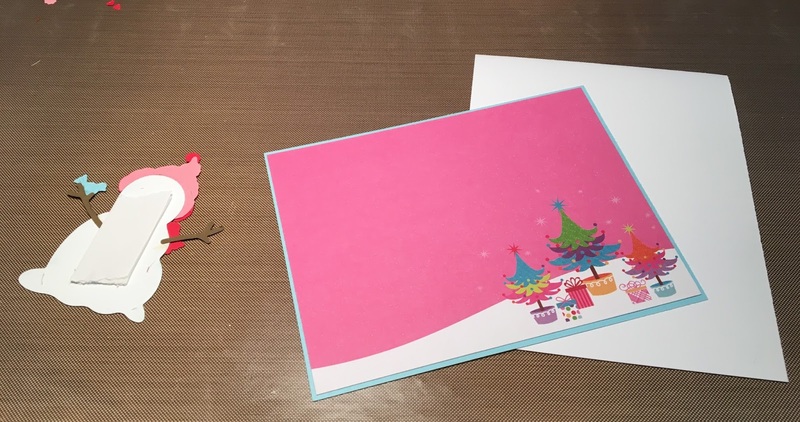 By keeping your card simple, you could easily mass produce this one for Christmas. See you next Saturday!!! 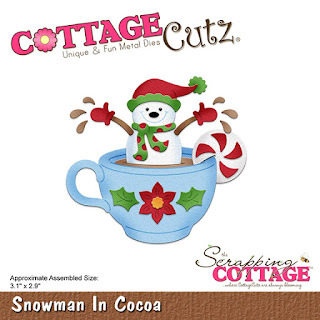 It must be snowman week at Cottage Cutz! We've had so many adorable snowmen this week and here is one more. It's Jeanne posting today and although the weather is still warm, I couldn't resist using this cutie in cocoa. Makes me want a mug of cocoa by the fireplace. 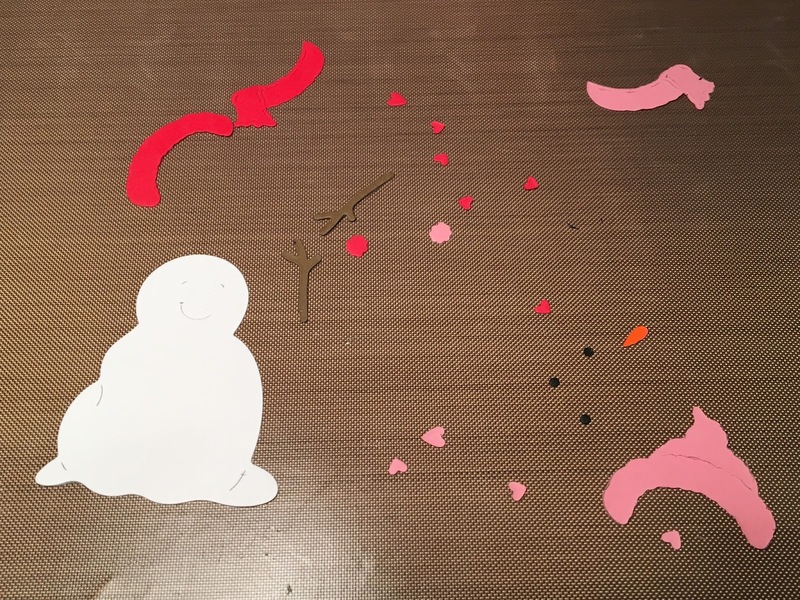 I cut all the pieces using a combination of white and colored card stock. I used colored stock for the red and green and white for the rest. I colored those pieces with Copic markers. Next I cut three pieces of background paper - red pattern is 4 1/8 x 5 3/8, white 1 3/4 x 5 3/8, kraft pattern 1 1/2 x 5 3/8. They will all be mounted to an A2 base - 4 1/4 x 5/1/2. 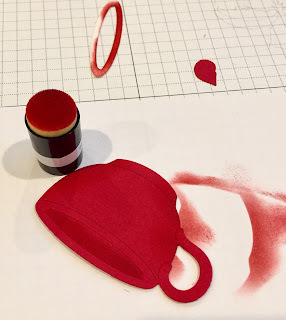 To add some depth to the red cup I used Real Red ink and a sponge dauber to add shadows. In the top of the photo you will see a piece I cut from white card stock to use to mask off the rim of the cup as I sponged it. a polka dot scarf when put together! How great is that!? When it came time to put this together I played with several options. 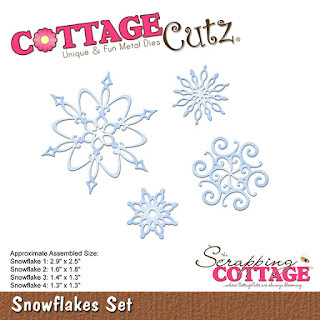 One was to use snowflakes as a background element. I really liked that, but I also liked the peppermints. A family poll was divided - they both looked good. Ultimately I chose the peppermints because I liked the way they picked up the stripe in the paper I used as a frame. 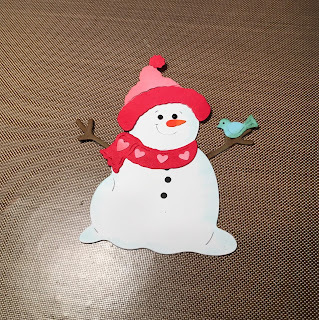 Had I used different paper I would have gone with the snowflakes. I hope this inspires you to create this weekend! 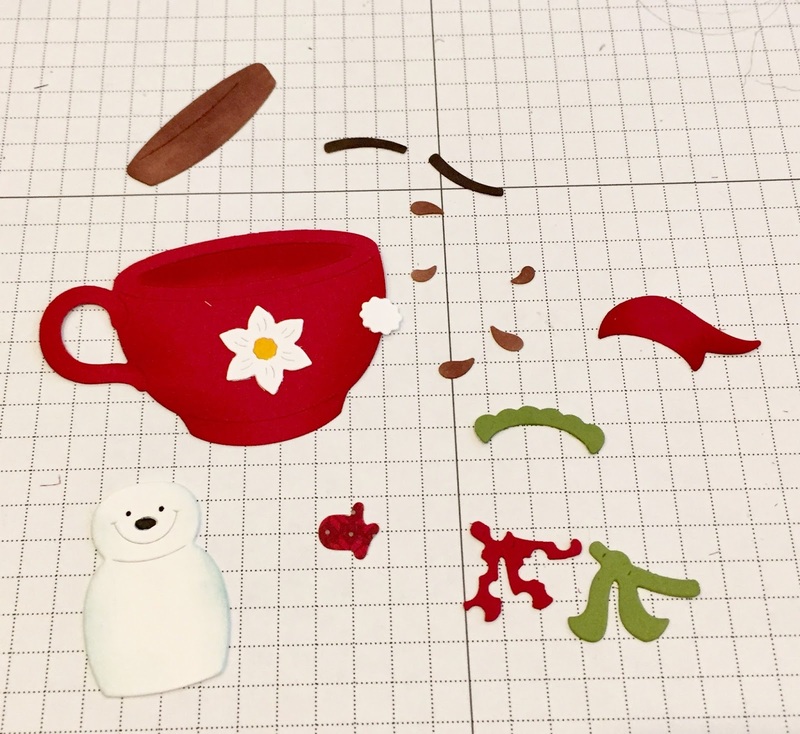 It is Pam creating with you today! I am using one of our cutest new release dies. 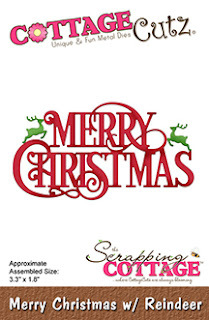 It is only a few months away before we have to send out our Christmas cards. So I really had to get started! Please stop by our store! We are open and waiting for you!! Hey everyone! 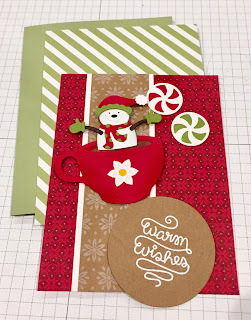 It's Janet dropping by to show you two cards I made using two new holiday release dies. The first is called Window With Shutters and it has a great window, complete with a header, flower box and shutters. 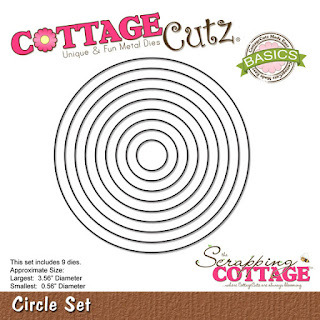 This die could be used year round to create a cute window scene by itself or filled with characters of your choosing that fit in the window space. 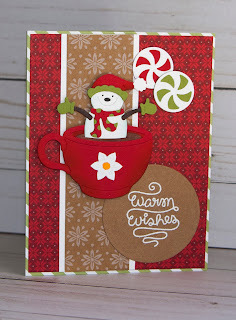 Today, I chose to use the companion die set made just for this window called Window Christmas Friends. 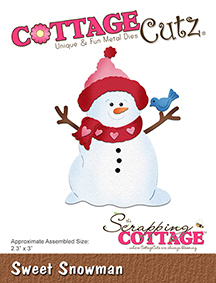 It includes adorable Christmas figures including a pine tree, Santa, Snowman and Poinsettias with greens for the flower box. 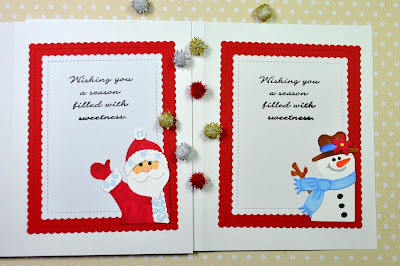 Since the Santa and Snowman are both cut when you use the set, I decided to use both in each card. Nothing should go to waste right?! For Santa, the snowman is saying hi when you open the card. 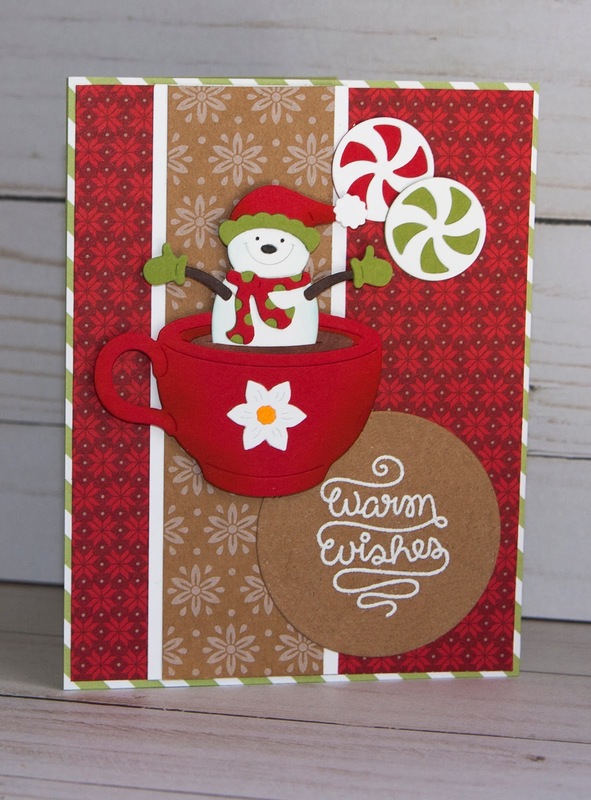 The opposite is true if the snowman adorns the front. 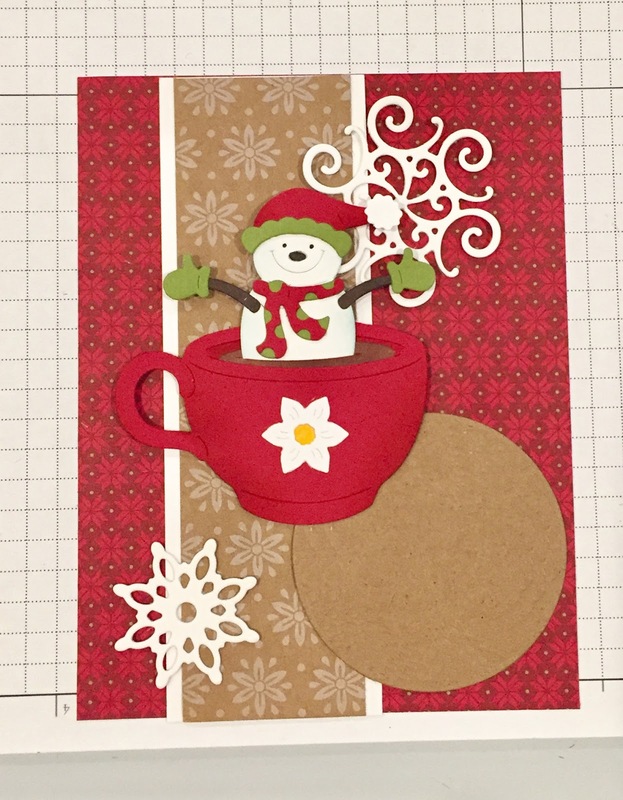 I also used the Nested Stitched Scallop Rectangles inside for the stamped sentiment and die cuts. 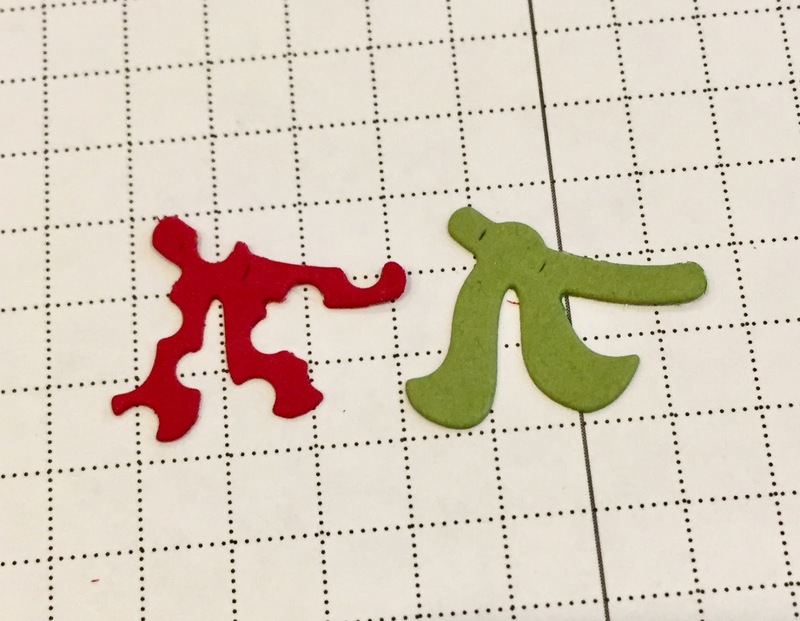 These are such cheerful little figures! 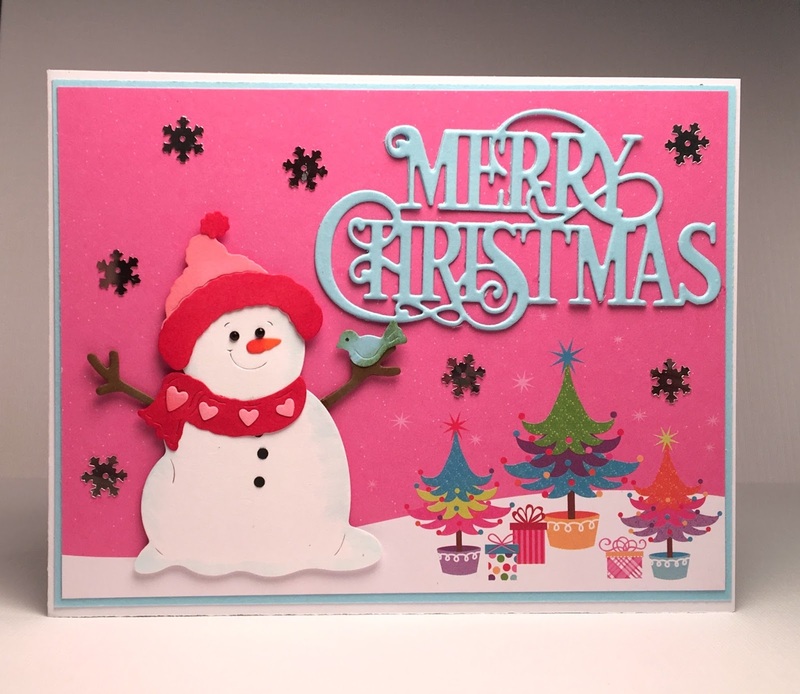 To learn how I made this card including how I created the acetate window effect, click on the video below. I hope you enjoy this one because I had a lot of fun creating them! 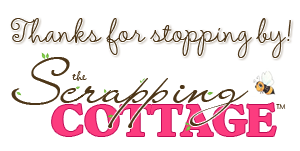 Have a great week and thanks for spending some time with us here at CottageCutz. 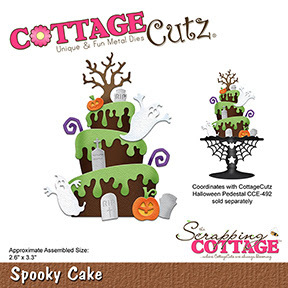 Today, I share with you some ideas for Halloween. 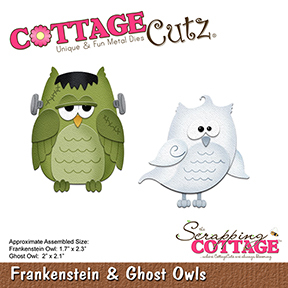 I made my creations with some of the recently released CottageCutz Halloween dies. 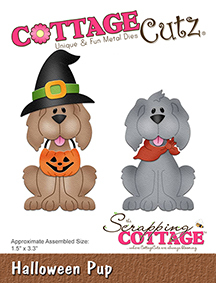 To begin, cut out individual pieces of colored cardstock. 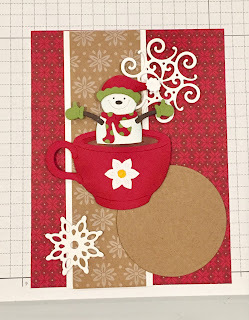 Color all pieces on the edges with Distress and Memento inks, and put them together. Trim selected patterned paper and black cardstock with a paper trimmer. 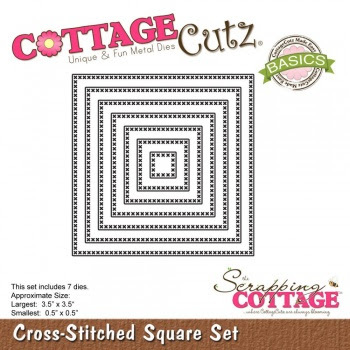 For a white cardstock, use the largest die from Cross-Stitched Square Set. 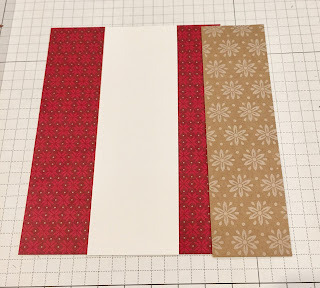 Since the washi tape is less visible on the dark background, attach it to a white strip of paper. Now it's time to get the card together. 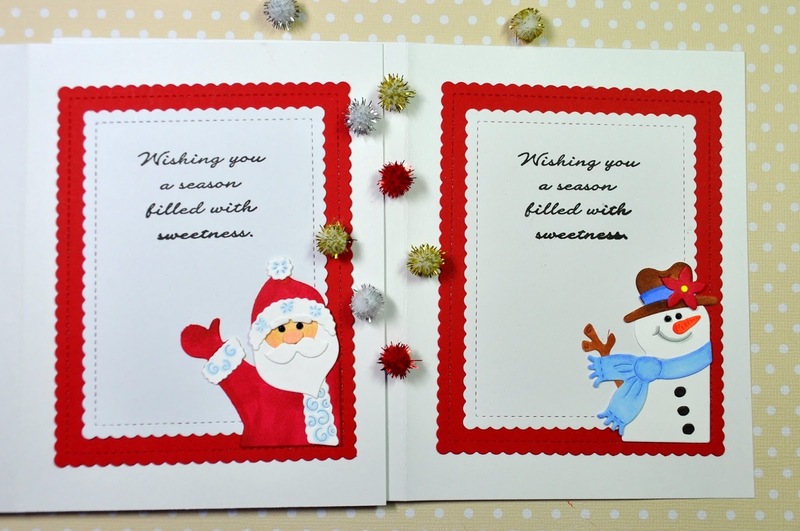 Paste both main motives with self-adhesive pads on the prepared background as shown. At the end, I embellished the card and paper lollipops with a clear Wink of Stella brush pen. Paste cupcakes to paper lollipops, which can be used for decoration. Kids will be delighted with Halloween lollipops, especially if we add some candy. 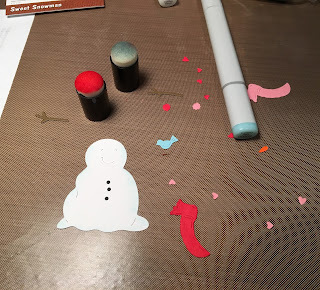 Color sticks with acrylic paint and paste them on the cardstock. At the end, tie a ribbon. I really hope you enjoyed my project today.